The fasteners company has acquired a BEGItech MRT Inspection machine for controlling the quality of between 40 and 60 parts per minute, which will enable it to take a leap in meeting the objective of ‘zero defects’. The quality of the machines it manufactures, and the after-sales service provided by Lazpiur, has allowed concluding an agreement for it to supply Deba with another two Inspection machines. Deba Fasteners and Lazpiur have started a special collaboration which promises to stimulate the growth of both companies in terms of competitiveness and the provision of services. Both of them have their headquarters in the same town, Bergara in Gipuzkoa. The former is dedicated to the manufacture of fastening elements, above all for the automotive market. 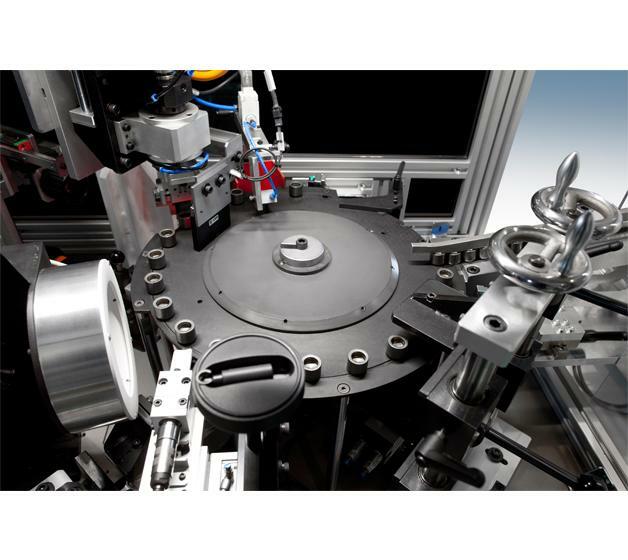 The latter has two lines of business; one consists in building high-precision machines, some of which are specially indicated for the fastener sector. Curiously, they had never worked together. Deba had, until now, entrusted other machinery manufacturers with their machines. However, they encountered a problem. They couldn't find a reliable supplier who could offer them the entire range of inspection machines with the ‘best-in-class’ technologies application which could adapt their machines to the reality of Deba's requirements and who could offer an appropriate after-sales service. In recent months, they searched for a machine which could guarantee an optimum quality control for their products. Ultimately, they found the best option and, what's more, in their own town, Bergara. Lazpiur has the most complete market range of Inspection machines for fasteners which include glass rotary plate machines, metal plate based machines, robotized machines, machines with the new ‘on the fly’ system with artificial vision, ‘eddy current’, controls in 360º, etc. However, it also has a first-class after-sales service. “Whilst other companies sell a machine and if any problem occurs with it there's no one who actually goes there to check it. On the contrary, when Lazpiur sells a machine and, it requires any service at a later date, we provide it. Whether here, Germany or in China. This is a feature which makes us stand out from the rest”, as Mikel Etxebarria, from Lazpiur's Commercial Department, explains. This product quality and quality in service was what made Mikel Egiazu, Managing Director of Deba Fasteners, decide on Lazpiur's machine, a BEGItech MRT with metal plate. Since becoming Managing Director of the company, he has endeavoured to improve productivity and to ensure that production resources give top performance. “If you really need suitable solutions for strategic problems, why not take into account the total cost of the investment, instead of minimising the procurement cost?”, Deba's Manager asks himself. “I tend to find it strange that companies from countries which are technologically more advanced come to our area to find more balanced solutions with regard to quality-price-service, whilst we often don't even explore what's on our own doorstep”, Mikel Egiazu explains. The new machine, which is already fully functioning, controls particularly sensitive types of parts, which are welded to the shock absorber shaft of vehicles. The BEGItech MRT enables controlling that the fasteners don't have cracks (this is achieved using an eddy current system), or surface defects. The state-of-the-art machine uses a photometry vision system. It also controls the measurements of the parts and possible thread damage defects. Its capacity is between 40 and 60 parts per minute. The experience for both companies has been so positive that they are taking steps to enable an improvement in Deba's competitiveness. On the one hand, Lazpiur will supply Deba with another machine in the forthcoming months: a BEGItech ECD which is dimensional control equipment for installing in a laboratory. It enables the exhaustive control of the first batches, in such a way that it verifies these first series during the manufacturing process. It uses a highly precise vision system which detects all kinds of part measurements. It has a servo-controlled rotary plate, thereby ensuring that different part profiles can be verified from different angles. It detects parts with diameters of 25 millimetres to lengths of 100 millimetres and its measurements are exported to SPC software. With these machines, Deba tries to “technologically adapt to the new challenges it faces. Each project is unique, with its own characteristics and Lazpiur provides us, and our clients, with the flexibility and, above all, the peace of mind of work well done. Clients are increasingly searching not only for the integration of logistical chains, but also of technological partners”. The company, the only player in the market offering a whole range of this type of machines, has designed the new BEGItech CLT machine. It is a first in the market with these characteristics, and relies on a powerful software package with calculation capacity to verify 800 parts per minute. The innovative feature of this machine is that the inspection is performed while the part is in the air. This system provides obvious benefits compared to other systems such as the glass ramp. This design removes any interference between the vision system and the measured object doing away with eventual dirt, wear or glass breakage and other issues affecting the measuring function. The part is carried on a belt and then ejected while the vision system snaps the part on the fly, which ensures a complete and efficient inspection of the fasteners. The BEGItech CLT machine is optimum for parts such as shafts, and studs... and meets a market demand in sectors like screw making and bar turning. The accuracy of this system is 0.01 mm and depends on the chosen vision hardware. Lazpiur has launched two versions of the BEGItech CLT machine. The first one is designed for small parts up to 20mm long; and the second version can handle larger parts with a scope of up to 50mm long.